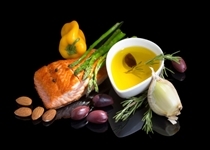 Home » Food and Nutrition » Can a Mediterranean Diet Help Treat Metabolic Disease? Almost 25% of the global population is affected by metabolic syndrome. Here in America, that number jumps to almost 34%. Current treatment for this condition tends to center around band-aid solutions. Things like “Lipitor,” insulin, and other medications work to keep the body functioning, so people don’t have to focus on lifestyle changes. All of these factors can increase your risk of diabetes, heart disease, and death. Yes, eating right and getting exercise can help, but what about a specific diet? You’ve likely heard a lot about the health benefits of the Mediterranean diet, but new research indicates it can help reverse metabolic syndrome. Spanish researchers looked at data following men and women between the ages of 55 and 80 who were at high risk for heart disease. Participants were randomly divided into three groups; one was fed a Mediterranean diet featuring extra virgin olive oil, another group was given a Mediterranean diet supplemented with nuts, and the third was given a low-fat diet as a control. Of the 5,801 participants, 64% had metabolic syndrome. Almost five years later, researchers followed up and learned that participants in the two Mediterranean diet groups saw a decrease in obesity and blood sugar levels, while almost 30% no longer had metabolic syndrome. Because none of the groups altered energy expenditure (i.e., picked up an exercise program) or experienced group-specific weight loss, the type of foods they ate were the contributing factor to their health improvements. All the foods in the Mediterranean diet promote heart health and weight loss by providing healthy fats, good cholesterol, and a nutritious assortment of vitamins and minerals. At the end of the day, there is proof that the Mediterranean diet can effectively combat metabolic syndrome and the conditions associated with it. You can choose to take pills that don’t fix the problem or you can get to the root of it by making a simple lifestyle choice. The decision is yours to make, but ultimately, the best avenue to better health is to embrace the fundamentals. If it’s proven to work, why not do it? It’s simple: extend the length and quality of your life by including fresh fruits, vegetables, whole grains, olive oil, and nuts in your daily meals. Canadian Medical Association Journal, “Mediterranean Diet, olive oil and nuts can help reverse metabolic syndrome,” ScienceDaily web site, October 14, 2014; http://www.sciencedaily.com/releases/2014/10/141014123927.htm.